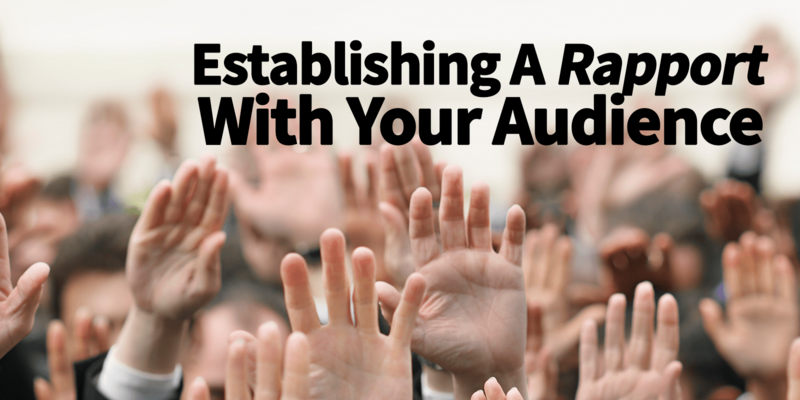 One of the most fundamental elements of successfully building a following is establishing a rapport with your audience. When you think about it, 95% of the communication flow will be unidirectional – you talking to them – but your goal should be to create a situation where they feel as though you’re having a conversation with them. I encourage people to reply to these emails and I genuinely make an effort to reply back as quickly as is possible. Much of the time, I reply within 24 hours if there’s something that I can add back to the person, but mostly it’s just a simple “thanks” because they are telling me they liked something I wrote or appreciate the emails. I normally try and respond like an actual human when the situation warrants it though. Another way I try to establish a rapport is by being “available” on social media. I have my Facebook Group which I encourage everyone to join and many people who get these emails have become “friends”, so they can interact with me that way. I’m pretty approachable online, so that builds rapport quite strongly. The Facebook “friend” one can be hard – clearly, with a couple thousand people on my email list, I have no idea who everyone is and I’m pretty selective about accepting friend requests. People have taken it personally when I don’t accept their requests, but the reality is, if I don’t “know” you, we don’t have many mutual friends or if your timeline looks like an affiliate promotion board, then it is very likely that I’ll reject the request – it’s not personal, I just like to keep my feed sensible because I use Facebook so much. Tactically, I also try and write in a more “personal” style. I share try talking to you directly and I will occasionally veer into my own day-to-day existence to give you a look inside my world. This is intentional, humans are natural voyeurs so by you seeing how I function, you build an affinity for me and our rapport strengthens. And despite my best efforts at times, I try to be likeable. I inject humour and can occasionally be somewhat self-deprecating. Above all, I just try to be a genuinely decent person and share things with you that can help you with there usually being nothing in it for me. The other aspect of building rapport is having a consistent approach to your audience and understanding what they are looking for. Do they want you to be inspirational? Are they aspirational? Are you being relatable? Ramit Sethi of “I will teach you to be rich” fame wrote an email the other day that I found interesting in this respect. Ramit talked about how when he moved to New York he was the wimpy, skinny Indian guy and very unfashionable. It was relatable – he’s a very successful guy and he wasn’t perfect which helps people feel empathy for him. He then included a picture of his transformation including him doing curls at the gym showing that he’s become pretty buff. For a lot of people, the idea of being not in perfect shape and working to achieve that is both aspirational and inspirational. Where it lost me was when he started talking about his nutritionist, personal trainer and personal chef. He said that he is spending about $50k/yr on those things and is going to go further down that path this coming year. To me, that was an interesting inflexion point. The email moved away from being “relatable” and in some respects, it was even less “likeable” with a hard pull towards aspirational. People who are following someone to learn how to be rich probably aren’t rich or anywhere near it. Normal people don’t spend $50k/yr on people cooking their food for them and telling them which weights to lift and how often. If you think about it, the median household income in the US is not far beyond $50k/yr and he’s talking about dropping that on a chef, a trainer and a nutritionist. That’s entirely unrelatable for most people and will probably generate a sense of envy in many of the people reading it. Think about their next buying decision, “He wants me to pay that much so he can hire a better chef”. To me, I don’t follow his emails closely enough to know if that’s consistent with him although, with the title of his signature program, I assume that would probably be his target audience. As a result, that approach would be entirely congruent for them and part of the rapport that he’s built. 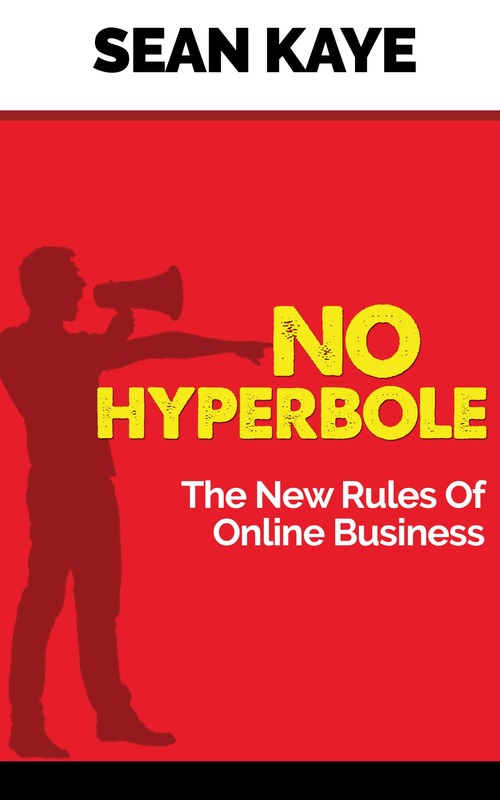 The bottom line is, you need to know what you’re going for with your audience so that your message stays consistent if you want to build a real rapport with them. Changing the message up all the time breaks the flow of the ongoing conversation. And maintaining that conversation is a key element of rapport!